Fort Kinnaird is a successful retail park located on the west side of Edinburgh. The original construction of the park commenced in the 1980’s. Woolgar Hunter have worked with the British Land on a rolling improvement programme since 2002. 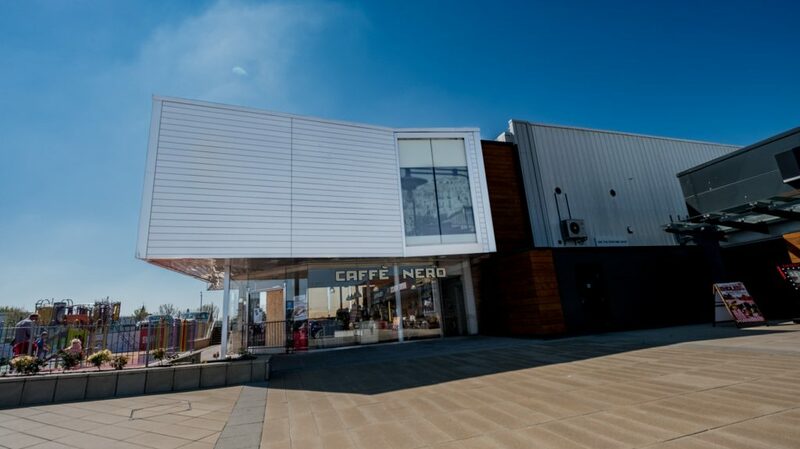 The first phase of works involved signiffcant alterations to the northern terrace of portal framed shed structures, to create a new landmark store for Marks and Spencer’s, as well as new canopies and shop frontages to the retail ‘streets’, and associated new landscaping. The next major phase involved the reconstruction of the ‘Northern Quarter’ to remove redundant buildings and create a new Odeon Cinema Complex along with a series of restaurant and café units. As well as the new building structures, this phase of the works involved significant new infrastructure. Our Civil Engineering team undertook the design of major alterations to the road junction and slip roads onto the A1 from the park. In addition our geo-environmental team managed substantial consolidation works to existing mine workings below the site. Subsequently we were involved in the remodelling of several large units on the east of the park to provide suitable space for TK Maxx and Primark. Our involvement continues currently with the construction of new feature units for Wagamama and Starbucks, and in designing new shop frontages and canopies across the park. Key to all of these projects is our experience gained over many years of working in a live environment and being involved heavily in the phasing of Works to minimise disruption to existing tenants. German supermarket chain, Aldi has made a major impact in the UK food retail market in recent years and has been embarking on a rollout to increase its distribution and market share. Woolgar Hunter provided civil and structural engineering services to the Aldi Framework for four years, delivering a programme of both new-build stores and the refurbishment of existing facilities. One of our early tasks was to work with the wider Design Team to improve efficiencies through the development of a small number of standard designs. These could be fitted to the sites, together with site-specific additional retail units, to suit the constraints of the local environment and planning restrictions. We were involved in the projects from the earliest stages: working with site-finders to supply pre-acquisition due diligence on the engineering constraints; providing the technical information needed to support planning and Building Warrant submissions; steering the build programme through construction; and contributing to “lessons learned” workshops. Retail development can be contentious in planning terms and we also provided Expert Witness to Planning Inquiries. Stores were delivered across a wide geographical area, from Irvine, through Glasgow and Fife in Central Scotland; to Oban, Inverness, Elgin, St. Andrews and Peterhead in the north.